What are honey bee races exactly? What is the difference between a species and a race? This means that in most of the cases, in which we interact with bees that produce honey we are facing bees of this Apis mellifera species. Let’s discover the races of honey bees and their characteristics1https://en.wikibooks.org/wiki/Beekeeping/Honey_Bee_Races. But wait, what exactly is a honey bee race? Wherever a given race of honey bees is at home, it turns out that its home is set apart by impassible natural obstacles. Isolation by natural barriers, mountains, seas and deserts by forcing in and in breeding and natural selection is the predominating agent in the origin of races. OK, and what is a characteristic of a honey bee? A characteristic is a trait or a structure peculiar to a group of individuals. Honey bees, like all other living things, vary among themselves in traits such as temperament, disease resistance, swarming tendency, brood raising periods, temperature preference, production preferences (more inclined to produce honey, propolis or pollen) and general productivity. The definitions of races and of characteristics are thoroughly connected. A group possessing certain characteristics is called a race. The most common races of bees are the Italians, Caucasians, Germans, Carniolans, Africans2http://www.three-peaks.net/PDF/Races%20of%20Honey%20Bees%2001.pdf. Then we have hybrid breeds made by humans: Buckfast, Africanized, Russians, Cordovan. The characteristics among the various races of honey bees can make a difference in the success or failure of your hive, even if they seem to be subtle3https://www.perfectbee.com/learn-about-bees/the-science-of-bees/common-races-of-honey-bee/. These bees are escaped swarms or unmanaged colonies to be found in the wild. They are genetically diverse and acclimated to the area they are present in. You can’t buy them, they must be captured or be obtained through interbreeding with local drones. Their parentage is unknown. Do you want to discover more about the single honey races and hybrids? Click on the buttons below to show the full information. You want to have all bee races compared to each other? We crafted 2 overviews for you4https://content.ces.ncsu.edu/the-different-types-of-honey-bees. Find out which bee race suits best to your abilities and your climatic area. Originally from the Apennine Peninsula in Italy, the true Italian breed is the ligustica. Their home country is geographically set apart from the rest of Europe by the Alps and is almost surrounded by the sea. This circumstance kept this race separated from outside influences and other races. It is said to be the most widely distributed bee in the world. Also, Italian bees are by far the most popular honey bees in North America. They were introduced to America in 1859 and quickly replaced the original black or German bees brought over by the first colonists. Latterly, since importation to America, the Italian has been modified by dilutions of blood of other races and undue attention to the single characteristic of color. Very lightly colored, ranging from a light leather brown to an almost lemon yellow, a trait that is highly demanded by many beekeepers for aesthetic reasons. Yellow bands on the abdomen range from 3 to 4 or 5. No cluster forming in cold periods: These bees are typically reared in the warm areas thus they find difficulty to live in colder climates. They need to consume extra food to compensate for not forming a tight cluster the way other honey bee types do. Weaker defense and less prone to disease than, for instance, German bees. 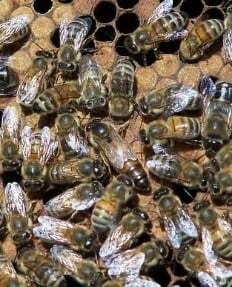 Extended brood rearing and swarming tendency: Italian bees have prolonged periods of brood rearing. 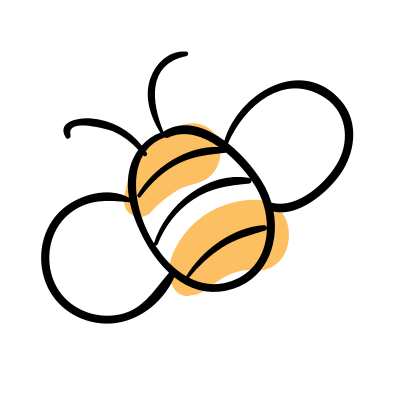 They may consume surplus honey in the hive if supers (removable upper sections where honey is stored) are not removed immediately after the honey flow stops. In this way, they can build colony populations in the spring and maintain them for the entire summer. This can result in depletion of their honey stores and as a result they have a tendency toward swarming. Bad habit of robbing: Italian bees are notorious kleptoparasites and frequently rob the honey stores of weaker or dead neighboring colonies. 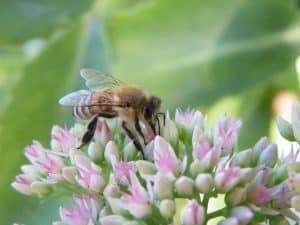 This can contribute to the spread of diseases between hives and can be problematic for beekeepers who work their colonies during times of nectar dearth. When starting out, you can’t go too far wrong with Italian bees, their gentle nature and productivity provide a wonderful way for new beekeepers to become comfortable around bees. The German black bee, also called Western European Honey Bee and known as the dark or black bee is originally from throughout northern Europe. They seem to be roughly arisen in an area around the present German territory. The German bee is no exception of the rule that races of bees were originated in distinct regions. It is supposed to be the first honey bee brought to North America. But why would people bring bees from so far away and on such a long trip over the whole Atlantic? Interestingly, honey bees are not native to the North America, even if it is home of about 4,000 native species of other bee species. Thus, German, or black bees were brought to America in the 17th century by the early European settlers. They were the first and only race found in the U.S. until 1860, when the hybridization, chiefly with the gentler Italian bees has taken place. They are known for having large, dark-colored bodies, ranging from dark-brown to black. succumb more quickly to American and European foulbrood. In general, the German bee, due to her defensive tendency is not the best race for beginners. As in the case of the other races, the Carniolan bee is native to an isolated region. This region is located high in the Austrian Alps and Danube Valley regions. They can be found across large areas of Eastern Europe including Hungary, Croatia, Serbia and Bosnia and Herzegovina. There seem to exist different races of Carniolan bees (Banats, Dalmatian and other bees resembling the Carniolans), which may be hybrids of the true Carniolan race. Carniolan bees are dark-brown to black with brown spots or bands on their abdomen. They’re slightly smaller than other races of bees, like the German black bee, but that doesn’t seem to influence their ability to forage. Overwintering: rank among the best for overwintering, they manage to overwinter well on small stores, as queen stops laying in the fall. They conserve winter food stores well and winter in small clusters while shutting down brood rearing in case of food scarcity. Hive products: they do not propolize Instead, they are very good builders of wax combs, which can be used for products ranging from candles, to soaps, to cosmetics. Carniolan bees are good honey gatherers. Low tendency to rob other colonies: much less prone to robbing other colonies of honey, lowering disease transmission among colonies. Excessive swarming tendency: They are more likely to swarm than Italians, so they require continued vigilance to prevent the loss of the colony. Make always sure that they have plenty of room. 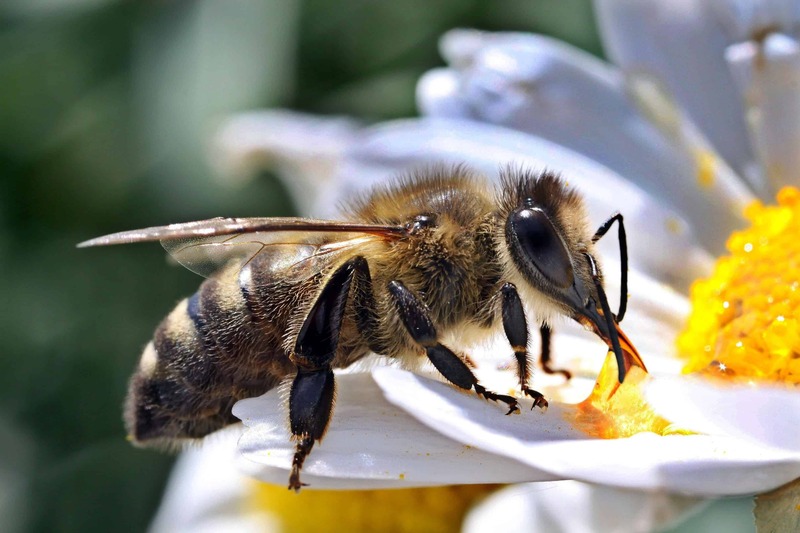 There are more than 20 honey bee races in Europe, America and Asia, but only two are found in South Africa: The Cape honey bee Apis mellifera capensis (southern Africa with rainfalls) and Apis mellifera scutellata (eastern Africa). We will dedicate this section to last one, Apis mellifera scutellata, also called “Adansonii” by the natives. Interesting fact: In Africa, beekeepers often trap wild swarms. Managed honeybees can abscond from hives to become wild again, and therefore the wild and managed honeybees are all related. The appearance of the African honeybee is very similar to the European bee. However, the African honeybee is slightly smaller. Its upper body is covered in fuzz, and its abdomen is striped with black. Higher rates of colony growth and reproduction compared to Italian and German honey bees. Preference for pollen over nectar, thus not focused on honey production: African worker bees have a greater preference for pollen over nectar, which is a direct food resource for the emerging brood. Differently, European bees focus on and store nectar and honey as this is more evolutionarily favorable to survive a frigid winter. Excessive swarming: This race produces more swarms and absconding (abandoning its nest). Only for tropical areas: The African bee thrives in tropical areas and is not well adapted for cold areas that receive heavy rainfall. Highly aggressive and defensive behavior: African honeybees respond more quickly when disturbed than do European honey bees. They send out three to four times as many workers in response to a threat. They will also pursue an intruder for a greater distance from the hive. 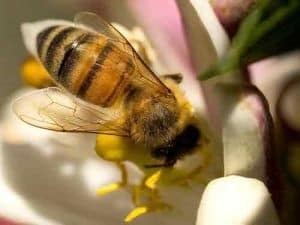 Still, we should understand WHY African bees show such an aggressive behavior: Researchers believe that this race of bees evolved in an arid environment, where sources of nectar and pollen was scarce. The natural selection favored more aggressive colonies, which protected their food source and hive from predators and robber bees from other colonies. For all the reasons above, African bees seem to be less desirable than European races, especially for beekeeper starters. However, sometimes African bees give beekeepers no other option due to their tendency to invade and take over European colonies. Buckfast bees are hybrids and were developed by Brother Adam of Buckfast Abbey in southwest England. In the 1920s, honey bee colonies in the British Isles were devastated by acarine disease (today suspected to have been the tracheal mite Acarapis woodi). 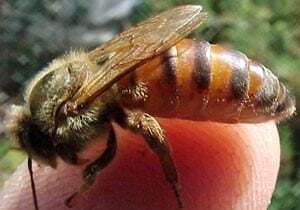 Brother Adam, a monk at Buckfast Abby in Devon, England, was charged with creating a bee stock that could withstand this deadly disease. He traveled the world interviewing beekeepers and learning about different bee strains. Then, he created a stock of bees, including the Italian and other bee races. He crossed numerous races of bees with the British bee in hopes of creating a superior breed. The results are what is now known as the Buckfast Bee. This new race should have the characteristic of being a gentle and prolific honey producer, able to thrive in the cold and rainy conditions of the British Isles and showing good housecleaning and grooming manners to reduce the appearance of diseases. The recent, worldwide research from the years between 2003 and 2013 confirms that Brother Adam was on the right way: Queens that have been inseminated by multiple, genetically diverse drones, show important characteristics, such as higher productivity and fitness, reduced vulnerability to diseases and higher probability of survival. 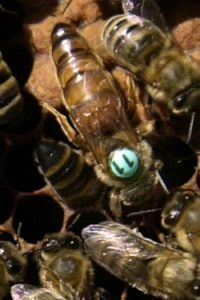 Buckfast bees are yellow to brown in color and resemble what many people immediately consider when picturing a honey bee. Very good overwintering ability: Theses bees are well adapted to cool and rainy climates. They are economical in the use of winter stores. They are more frugal than Italians and less frugal than Carniolans. This means they produce generally a low amount of brood during fall. This allows them to use less honey stores during winter. Moderate in spring population buildup: This prevents them from taking full advantage of early nectar flows. Unclear information about second generation breeding: If colonies are left unmanaged for one or two generations, they can become extremely defensive and aggressive. Most of the commercial bee farms and beekeepers choose the Buckfast bee. Cordovans are technically a subset of Italian bees and have a very similar character. It is not clear what caused the Cordovan bees to separate themselves from Italian strains and become their own race of bees. In theory, this could happen with any of the different bee types, but thus far in America it’s only been observed with Italians becoming Cordovans. It is quite fascinating to observe them with their bright, yellow bodies and lack of any black stripes. Precisely, they have no black at all on them and look very yellow at first sight. Italians normally have black legs and head, while Cordovans have purplish brown legs and head. The Cordovan trait may be bred into any race of honeybee. Cordovans are more prone to robbing than Italians. In warm weather, Cordovans are an excellent choice for new beekeepers. The only downside is that they are often not commercially on sale. You must catch a swarm! Russian bees originated in the mountainous, Far Eastern Primorsky region of Russia, right in front of Japan. The area is clearly delimitated by mountains and the sea. This region is also home to Varroa destructor and Tracheal mites. As such, Russian bees have developed a natural tolerance to these hive parasites. Russian bees are dark-brown to black in color and the yellow part of the abdomen is paler. Accustomed to cold climates, they also overwinter well. Adaption of brood in times of dearth, which may be beneficial in climates where the amount of food available is heavily is dependent upon seasons. Thus, they tend to rear brood only during times of nectar and pollen flows. Russian bees tend to be slightly more aggressive, although this doesn’t always mean stinging: They engage in “head butting” rather than stinging potential threats and guard their hive vigilantly, making them less likely to be robbed. Good housecleaning behavior, which is one of the reasons to be resistant to the mentioned parasites. Unusual behavior: They tend to have queen cells almost all the time, whereas most other stocks rear queens only during times of swarming or queen replacement. Beekeepers should provide extra space in the hive to prevent unwanted swarming. 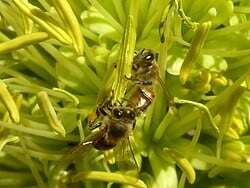 Africanized honey bees are hybrids. They were created in Brazil by crossing African bees with Italian bees in the 1950s to create a bee strong in honey production and resistant to parasites. In 1957, 26 of these experimental swarms escaped quarantine and quickly took over South America. In 1985, they made their way to the US and have since spread through most of the southwestern regions. In the media, the Africanized honey bee also known as the “killer bee”. Though, this does not necessarily mean that they are more dangerous than standard honey bees. Their representation has simply been blown out of proportion. There have been several more recent breeding programs that have produced a gentler form of this race. This gentler form of bee has even become one of the most coveted honeybee races in Brazil. They also reproduce faster than other honey bees, so they require more food. Overwinters poorly in temperate climates. Make sure that you get the gentle version of the Africanized honey bees, as described in the history section. If you suspect to have a hive with very aggressive Africanized hybrids, you should “requeen” them. The oldest known honeybee specimen dates from 100 million years ago. The races we discussed until now are the most researched types of bees. This is partly due to a major scientific interest concerning their geographical appearance on the European or American continent, where people are facing the major losses of honey bees. Still, there exist many other bee races in the world. The Cyprian Bee, the Syrian Bee, the Egyptian Bee, the Saliarian Bee, the Tunisian Bee, the Indian giant bee, the biting Chinese bees, the stingless bees of Central and South America (Genera Melipona and Trigona or the Tetragonisca angustula)5https://archive.org/stream/cu31924003450867/cu31924003450867_djvu.txt.